When you turn to someone for professional advice, you tend to expect the person offering it to be impartial. That the person at Citizens Advice doesn’t scribble down the phone number of some pal who’s an inadequate lawyer. Or that the doctor doesn’t sign off on a prescription for a drugs company he’s on contract with. The problem with academia, however, is that there is a significant inherent bias risk. This applies to experts both within the university system, and also to those who emerge from that milieu and operate within the think-tank community. Deep experts are to some degree self-selecting. You wouldn’t want to devote your life to studying the life and habits of the Southern Bog Lemming unless you were to some extent interested in the subject. In the case of the social sciences, and areas involving political concepts, risk of wider associated prejudices comes in. Politically, a deep expert on Engels is, I would suggest, more likely to be sympathetic to his milieu and world views than a counterpart who opted path to focus on Bastiat. An expert on the EU would be more likely to be sympathetic to that particular integrationist cause than someone who has dedicated themselves to reflecting on, say, de Gaulle. There are of course exceptions where big themes and big names, such as Stalinism or Napoleon, draw in a panoply of analyses. But this is clearly not the case with EU studies, as anyone familiar with the field admits. While the sliding scale will still encompass a considerable range of opinions, including on rare occasions plain Euroscepticism, the centre of gravity amongst deep specialists clearly leans on the side of being more pro-EU. In consequence, academic output supports, or at least fails to challenge and test as robustly as it might, the integrationist process and the strategic consequences that it entails. The above is subjective, though I have over the years raised it with numerous academics who, sotto voce, agreed with the premise while underlining that they as individuals made great efforts to keep any bias out of the classrooms. Nothing, however, was ever observed about keeping the bias inflection out of published work. This becomes particularly important when policy makers, and especially those drafting plans within Whitehall, turn to it to inform them in their work and assume it is unprejudiced. In the case of the EU, this inherent bias risk is nurtured by direct policy. By a variety of methods, directly and indirectly, the European Commission is running a policy of fostering a sympathetic elite. This is largely down to a matter of money, plus to some extent from sponsoring training, but it also comes from hosting the key formative institutions. A case study in EU funding of Social Sciences research for those wishing to dig deeper can be found here. In a paper published this week by the Bruges Group, I turn to a new field and to a new community. Security and defence think tanks include some of the most established and prestigious institutions in Europe. A number are based in the UK. It comes as a considerable surprise to find the EU – which only relatively recently has developed aspirations and policy competences in these fields – already so firmly financially associated with many of the most celebrated ones. This is a deep concern. All these organisations pride themselves on their independence. Each one extols its ability and determination to pursue independent lines. Yet the European Commission funds some of them to an astonishing degree. The details are set out in the Bruges Group paper. Of course, all think tanks have to find their money from somewhere. A successful set-up is where an organisation is funded by people who like its work, and agree with its established principles, and want to support it because of what it has done rather than because of what they demand it to do in the future. However, we know from the Commission’s communication policy (cited in the works above) what its expectations are from its programmes: it’s rather helpfully told us about its strategic messaging aspirations and demands. Consider for a moment if instead of the Commission supplying the funds, the Kremlin were. There would be uproar, just as there was about the former Libyan regime funding the LSE in Gaddafi’s day. But the problem goes further than simply the finances. There is also the risk of bias emerging from Inside Track mentality. It’s a symptom you often see with big corporations or puffed-up trades unionists: the idea of privileged buy-in and being part of the club. Being treated as part of the inner circle of counsellors for helping draft EU policy certainly looks good on the CV, beefs up your credibility with government players, and plumps up your bid for grants and sponsorship. It also mutes the tendency to challenge and criticise. This is why the issue here is so important. 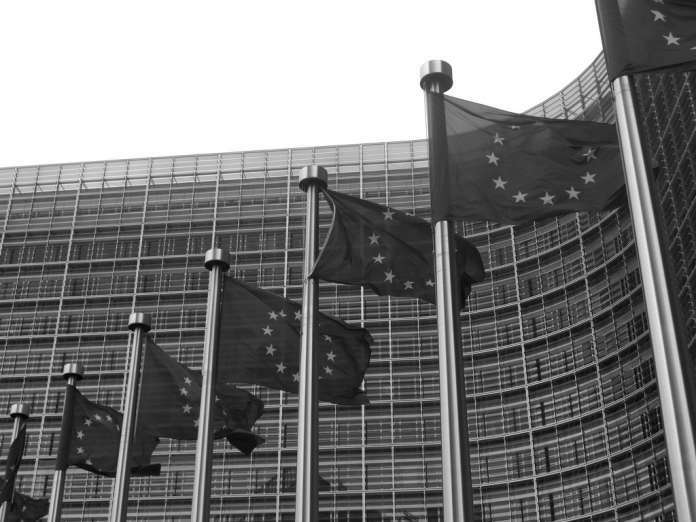 There is a dangerous silence amongst think tanks on the strategic direction, implications, and risks associated with the development of the EU’s Common Defence. The process is undeniable, and is even affirmed as an ambition in the existing treaties: but to witness it requires analysts to look objectively at the whole, and to join the dots. At present, for whatever reason, this is not happening. With rare exceptions, Common Security and Defence Policy (CSDP) think-tankers are taking Commission comments at face value. They are ignoring concerns raised about the threats to NATO, and to the UK’s strategic interests. They are failing to analyse the long-term impact on the UK’s defence industries, and with it our strategic capabilities. They discuss items out of context of ever closer union, piecemeal and outside the collective narrative. There are, I would suggest, only two reasons why this sponsored silence is happening. The first is analytical failure. The second is self-interest. I hope it is the former, and thus correctable. But the amount of largesse flowing from the Commission, and observations made by those who have attended events and raised claims of partiality, do raise serious doubts. Next articleWhy should Islam be exempt from ridicule?